On the 20th of September, Lebanon Support hosted its official office warming to celebrate its relocation to a bigger, new office in Furn el-Chebbak. The office warming started, with a welcome note by the Head of Research and Director of Publications, Marie-Noëlle Abi Yaghi and Léa Yammine. Following that, Walid Abou Saifan, the centre’s Technology & Innovation Advisor, presented Lebanon Support’s work, focusing on the centre’s 3 programmes – Daleel Madani, Civil Society Knowledge Centre, and Civil Society Incubator – and going over its recent achievements. One of Lebanon Support’s main objectives is to create a space for reflection and action for civil society actors, including practitioners, researchers, experts, and activists, in order to enhance synergies between these different groups. 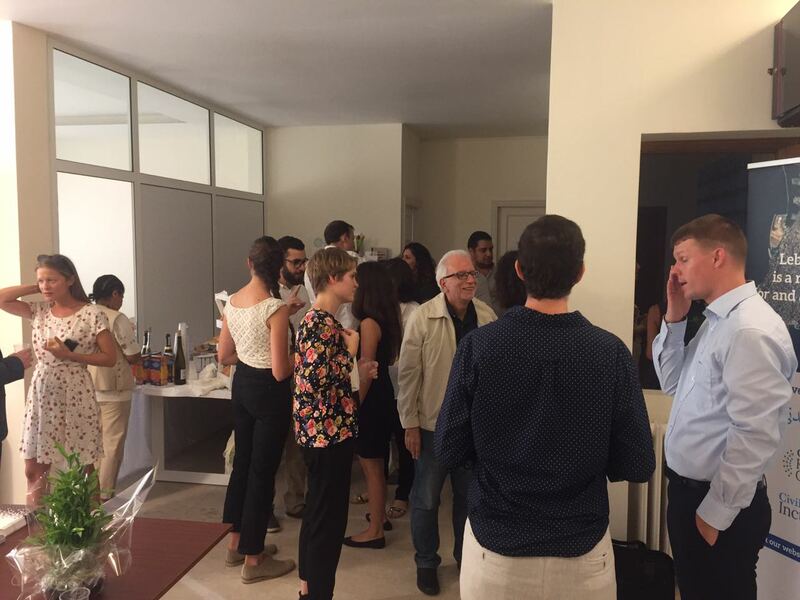 As such, many prominent civil society actors, experts, and academics gathered to visit our new space, network, meet the Lebanon Support team, and celebrate the success of the centre in the past years.